Download and Listen to Episode 31 on SoundCloud or iTunes Now! Trevor used to travel to Bali in between trips to Hawaii from Thailand, usually to do some writing he had already researched and to catch some waves. 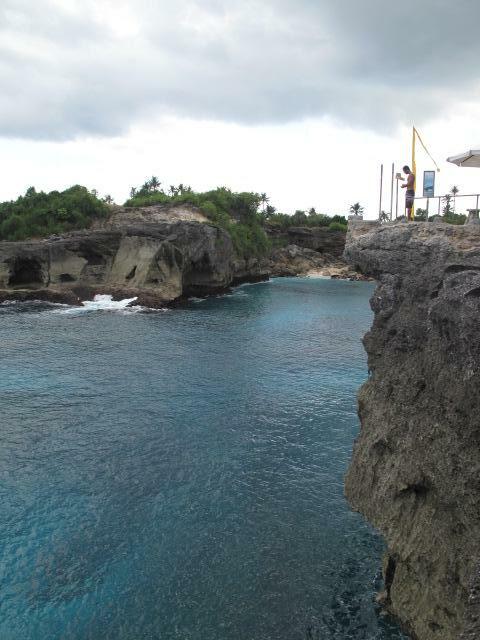 He’d usually hole up in a particular place for a few weeks (often Nusa Lembongan) and explore only a little bit. After several trips over several years he was kind of ‘over’ Bali. Then, a few years ago he had the opportunity to move there for half a year and do extensive research about the island and he learned to love Bali far more than he had simply appreciated it years earlier. Now he goes back at least twice a year for a few weeks or more and he cant wait to get back. Scott has never been to Bali, wanted to for years, got to Lombok in early 2015, but has this idea in his head that much of it is tourist hell: you’re constantly badgered by locals to buy things and it’s expensive. He asks Trevor what is it like in a nutshell. Trevor admits that there certainly are parts that are ultra-touristy and there are areas where you are badgered a bit by touts, but those places really aren’t the majority. He doesn’t think you can compare an island like Phuket or Samui with Bali as those islands are pretty much ONLY for tourists, while Bali is home to such a distinct and deeply-rooted culture. While there are many parallels with Hawaii too, he thinks it’s hard even to compare Bali with Hawaii: both are spectacularly beautiful volcanic islands with amazing surf, and in some regards Bali is more touristy than the touristy parts of Hawaii but at the same time, the culture of Bali is so much more intact and alive. Certainly when one travels to Thailand or Cambodia these cultures have absorbed some culture from the west, and Bali certainly has too, but the Balinese culture seems much more resilient than so many others he has encountered. 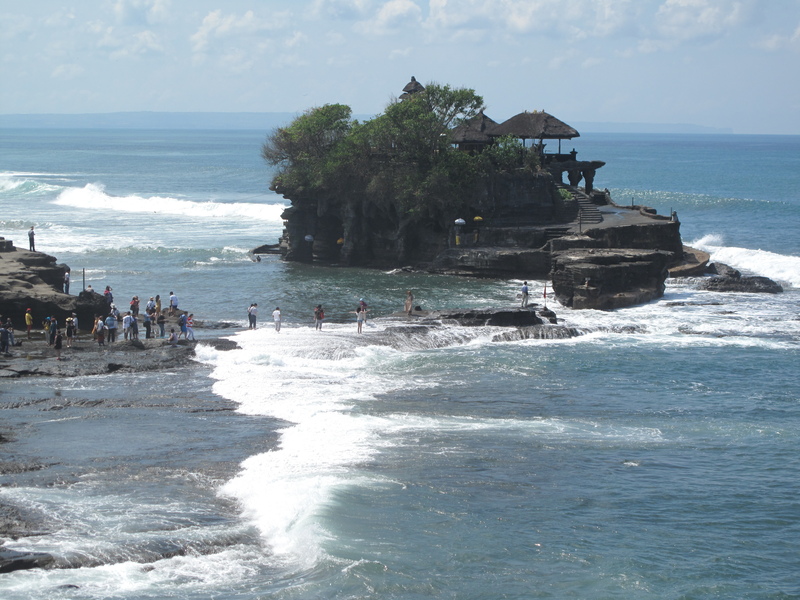 It’s very easy to get away from the tourists and experience ‘the real Bali’ he explains. One thing Scott doesn’t understand about Bali is how the island is laid out – why you would go one place vs another, and how many areas you can cover in a holiday? He has heard of Kuta and Ubud, the most popular tourist areas: What’s the travel time like between them? How easy is it to get around the island? Trevor explains that the island is approximately 153 km (95 mi) wide and spans approximately 112 km (69 mi) north to south; Kuta to Singaraja (the northernmost city on the island) or Amed (the easternmost) will take 2.5 to 3 hours with no traffic. At the same time, from Kuta to Ubud, which is maybe 30k will take an hour on average. You can do it in 30 minutes driving a motorbike fast before rush hour but it can take 2 hours or more in rush hour. The distances aren’t indicative of the time required, he explains. It depends on whether you travel on main roads or back roads (which are more far more scenic), if you want to see anything along the way (there almost always is), and the traffic conditions, which are incredibly bad at times. In general he suggests avoiding day trips to places farther than 10k from where you stay. If you want to go to Ubud for the day, ask yourself: are you willing to spend 2-4 hours on the round trip commute? He would rather just spend a couple nights in different locations, rent motorbikes there, and explore the area from a different base every couple days. General Essentials Bali: Top ten things you should know on arrival. 1. At the Airport: – An official taxi stand with fixed, but fair prices, will get you anywhere on the island. The cost is slightly higher than a meter taxi in the opposite direction (certainly cheaper during rush hour!). For convenience sake it’s a good deal if you haven’t arranged with your hotel. Currency exchange at the airport is around 2.5% lower than the official rate, which isn’t bad either. We don’t recommend you change all your money here, but its worth getting a day’s worth of cash until you can find a better place to exchange near (not at) your hotel or villa. 2. Money Matters: As in many tourist destinations, some people in Bali will try to take advantage of naïve tourists. 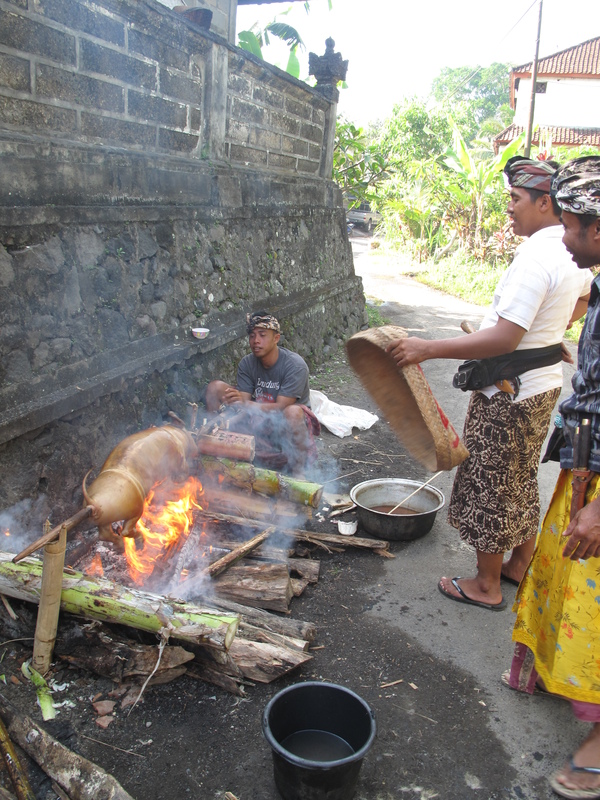 In Bali this includes currency exchange vendors. Almost every currency exchange offers different rates: some are disadvantageous because they are convenient (hotels) and some are advertised as very favorable: much higher than you’ve typically seen. These guys are trying to lure you in to take advantage of you by adding high commissions; others do so by miscounting the money they give you. You should always count your money carefully; counterfeits are less of a risk, but look for 10,000 notes slipped into a large stack of 100,000 notes (they look very similar). While traveler’s checks are safer to travel with than cash, they can be difficult to change in Bali, as many exchange offices don’t accept them and those that do often require a phone call to Jakarta to authorize clearance. They also receive a lower exchange rate. Whenever possible, try to change money at a bank or at one of the exchange offices: BMC and EXEZ. 3. Weather: Despite its tropical location, Bali experiences some cool temperatures, both at the beach and up in the mountains. In the ‘winter’ months of June through September you may feel more comfortable wearing a sarong over your shoulders on the beach in the evening; you will certainly want a sweater, scarf, or warm hat while upcountry, particularly if you are traveling via motorbike. At the same time, the sun in Bali is quite strong and you are advised to wear a high-factor SPF sunblock during the day and hydrate yourself properly by drinking lots of water. Seek shade between 11am and 2pm if you have a fair complexion or wear a wide-brimmed hat unless you are looking for a scorching sunburn or a potential case of skin cancer. 4. Driving: Renting a motorbike is a very popular way to explore Bali, but it is also one of the most dangerous and frustrating. The best roads are the smallest ones, nearly all of which seem sealed with smooth blacktop nowadays. These back roads are best for the return voyage, as you’re usually driving down hill: a much easier route to follow. People also tend to know which direction to Kuta. Motorbike accidents are a leading cause of death for foreign visitors, particularly foolish/inexperienced, young and/or intoxicated drivers. Inexperience in Balinese traffic is what is most likely to put you in the hospital. Everyone in Bali seems to be in a hurry; the rule of the road is ‘me first’. Motorbikes are constantly changing lanes, swerving in and out of traffic, driving on the wrong side of the road, or making sudden turns without signalling (cars and trucks signal to indicate they are going around a vehicle on the shoulder). The nice white lines painted on the road mean nothing. In general, we strongly suggest that you drive defensively and take your time – you are on holiday, there is no need to rush. As always, however, we suggest always wearing closed-toed shoes and jeans; they’re only a minor inconvenience to put on and take off before and after the beach – easier than bandages are. 5. Women’s Safety: Bali isn’t a particularly dangerous place for women, and as in any area of the world its advisable not to walk down dark alleys alone or take a drunken late-night nap on the beach. That said, local men in Bali are a bit more aggressive than those in other areas of Southeast Asia. Bali has developed something of a reputation as a destination for western women to hook up with local gigolos. Consequently, many men in touristy areas of Bali would also like to find themselves western women to hook up with. Even taxi drivers can be quite persistent about trying to get a date with you, petting your hair and asking for your phone number. If you give one of these men your number he will call several times a day, sms-ing you regularly to try to get a date. Unless you enjoy courting danger you should tell men who approach you or ask if you are married that you are, and be firm that you are not interested in a date. Avoid such men if you are in a quiet area or duck into a shop or restaurant if you are feeling harassed, and don’t allow taxi or motorbike drivers who flirt aggressively with you to know where your villa is located – if you are staying in a proper hotel with security guards, its probably ok.
6. Ocean Safety: In the summer months ( June – October ), the big surf arrives in Bali, making it one of the premier surf destinations in the world. During this time, the popular tourist beaches of Kuta, Legian, and Seminyak regularly receive some large surf with pounding shore break and every day lifeguards must perform rescues of naïve tourists who get sucked in by powerful undertows and rip-tides. Most people unaccustomed to such conditions do not realize how strong and how dangerous the ocean can be; even just wading into water that is only waist deep can quickly result in a life threatening situation. Just because you see other people frolicking in the water, doesn’t mean that they are any more knowledgeable about the danger than you are. Red flags are posted along the beach where swimming is prohibited because there are no lifeguards watching that stretch of sand; do not let your children play in the water near these flags. Half-red/half-yellow flags indicate areas where lifeguards are monitoring and they typically are not far from where your beach chair is located. 7. Bali Belly: One of the joys of traveling is sampling the local cuisine. One of the pitfalls is food poisoning. Indonesians prefer to eat food that is pre-prepared and this food is often left exposed to flies and parasites that quickly ruin your holiday. If you must eat at a local warung (restaurant), look to see that the food is covered and protected from flies and avoid eating meats or fish that can harbor parasites such as salmonella when not refrigerated after cooking. Most water you are served is from a bottle, and most ice is generally safe to consume, but it’s always safer to see them open the bottle with a safety seal in front of you and avoid ice in rural areas where it may not have come from a trustworthy source. Likewise with raw vegetables; in a proper Kuta restaurant or healthy-hippie café in Ubud the vegetables were likely prepared with care; in more rural areas they may have simply been washed with tap water that may not be potable. Don’t be paranoid about trying local food or drinking anything containing ice, just use some common sense and use the adage, “better safe than sorry”, when dining off the beaten path. 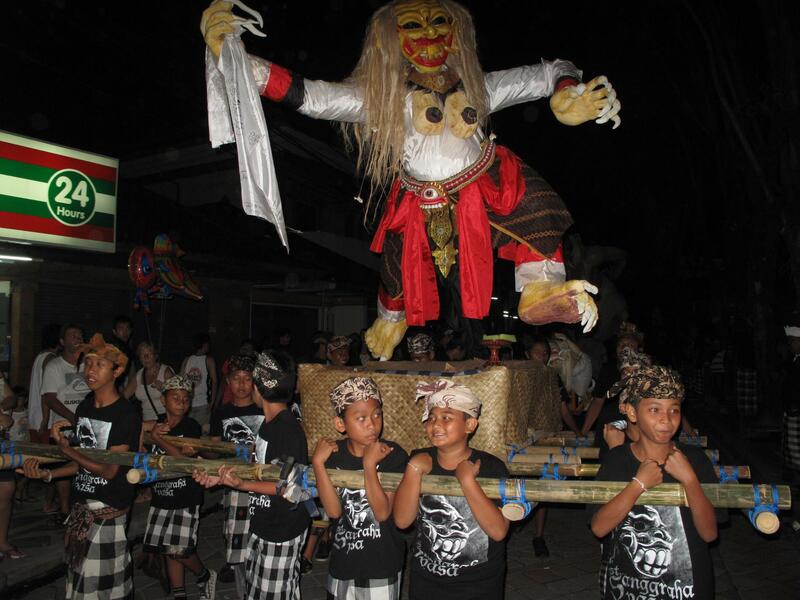 Kids carry Ogoh Ogoh before Nyepi celebration. 8. Dengue Fever: Not to downplay the dangers of Malaria, but most first-time visitors to Asia are overly concerned about Malaria and have no clue about Dengue Fever. While both mosquito-borne viruses are prevalent in Bali and Lombok, exposure to mosquitoes carrying Dengue Fever is more likely for the average visitor. Malaria is carried by mosquitoes that inhabit densely forested areas; most visitors to Bali are unlikely to be exposed to malarial mosquitoes unless they travel off the beaten path a bit, particularly in Lombok. Dengue Fever, however, is carried by mosquitoes that prefer an urban environment, including such seemingly safe places as Denpassar or even Seminyak Beach. If you experience a high fever that lasts longer than 24 hours you should seek medical attention; if you test positive for Malaria you will receive medication that will suppress the virus fairly quickly – left untreated, the virus can be fatal. There is no single test for Dengue Fever (they must monitor your white blood cell count over a period of time) and there is no medication to cure you. The good news is that you are less likely to die of Dengue Fever than you are of Malaria; the bad news is that you will spend several weeks feeling like you are dying and often wishing that it would just finish the job. While in Bali you should apply a liberal dose of mosquito repellant with DEET (the ONLY effective chemical deterrent), particularly around sunrise and sunset hours. 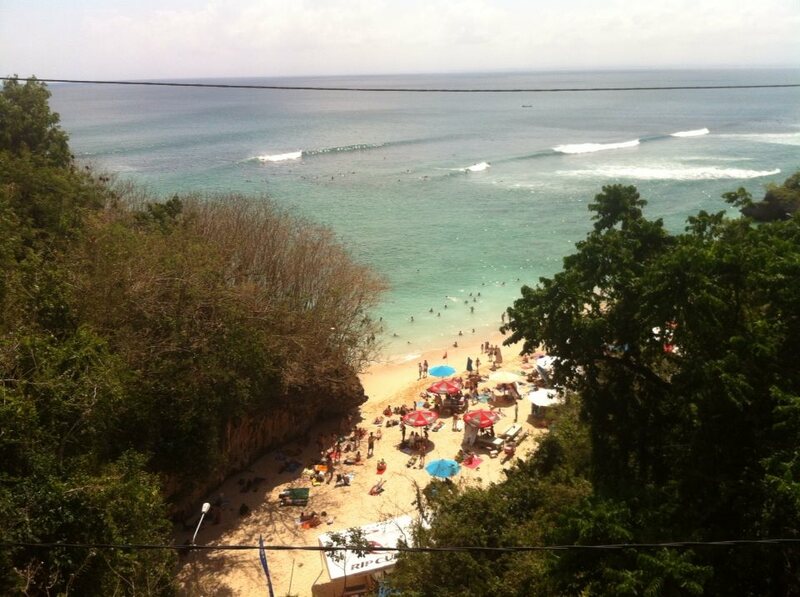 Is Kuta beach the best or just the most popular? Kuta is certainly the most popular – and one of the longest – beaches in Bali. In fact the sandy bit of Kuta Beach runs from the airport, just south of Kuta and Tuban beaches north through Legian and Seminyak beaches, and the tourist development, hotels, shops, restaurants, etc have stretched out over the years to make the Tuban, Kuta, Legian, Seminyak beach ‘towns’ one continuous tourist sprawl. That’s not to say they don’t have somewhat distinctive characteristics (particularly Seminyak), but Kuta is certainly the heart of all that is touristy. It’s not the cleanest stretch of beach, but the best area to party, especially if you’re young. That said, Seminyak is really the hot spot nowadays, particularly as it’s closer to the Canggu area, which is really the trendiest, most up-and-coming area in the southwest part of Bali. Where is the best place to learn to surf? Where is the best place to see Balinese dance? Mekhar Buana has a vision to document and reconstruct rare or extinct Balinese gamelan music and dance through research and study. They also do education about classical Balinese dance through workshops, lessons and performances. If you see one of their performances at Hotel Tugu it’s hard to be impressed by another dance troupe. That said, there are amazing dances performed across the island as the dances are often a part of religious ceremony. You can see some easily in touristy areas like a show at a restaurant called Made’s Warung. n Ubud and the surrounding villages there are dances at various religious pavilions and town halls – different dances on different nights. And of course at Uluwatu temple… but that tour bus touristy experience is a bit of a turn off for Trevor. It’s impossible not to find a dance to see on the island, and most are good. Trevor was just blown away by Mekar Buana’s performance next to a bonfire at sunset at Hotel Tugu. Where is the best snorkeling/diving? The northwest tip – Menjangan Island/Bali Barat National Park. Otherwise, the best shore dive/snorkeling is all along the Amed Coast on the northeast of the island. What other things are there to do in Bali? The volcanos are amazing. 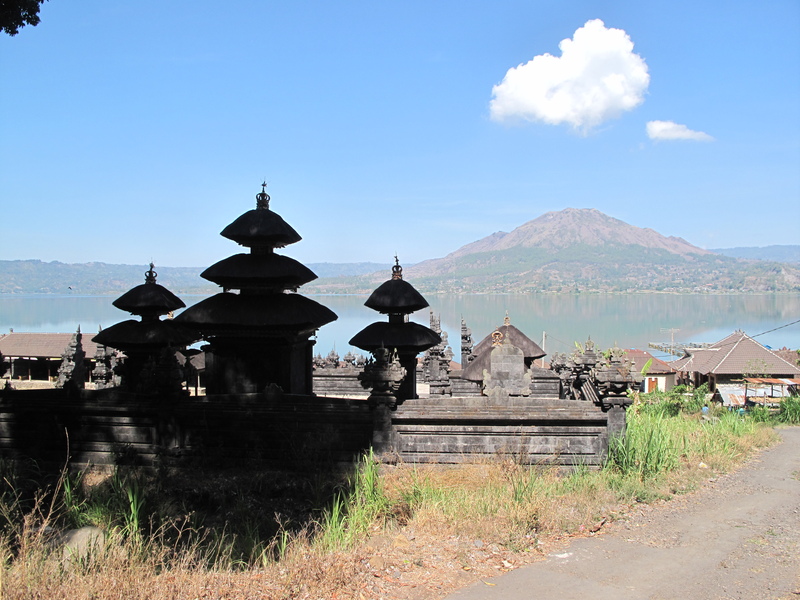 Stay up on the shores of Lake Batur, soak in thermal baths, hike up the rim of the volcano for sunrise, visit the ancient Bali Aga village. Trevor likes exploring by motorbike, so you can go down from the volcano after a couple days and check out the village of Sideman, which is near the best white water rafting. 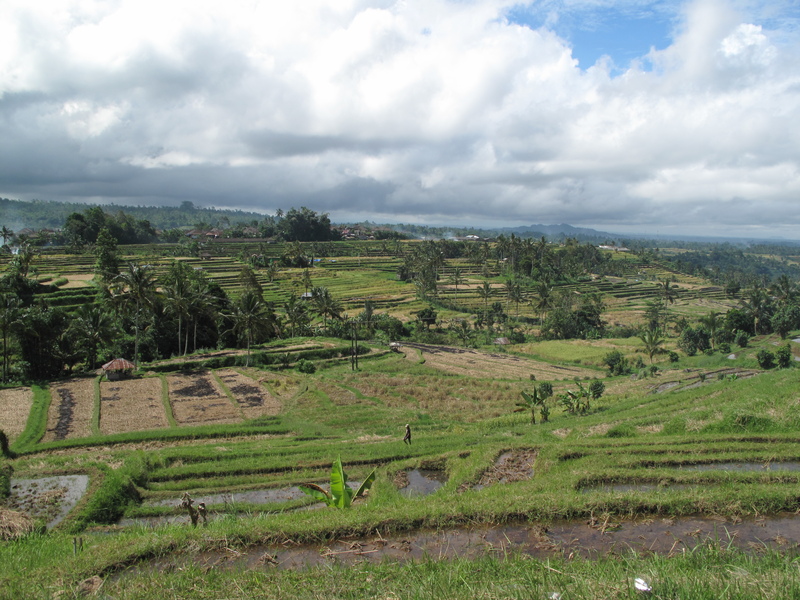 He thinks Ubud is super cool, but he likes the villages north of Ubud even more. Up around Tagalalang and Sebatu. Even the monkey forest temple just to the northwest of Ubud town is really cool, not the one IN Ubud, which is also pretty cool, but the one outside town, maybe its Sangeh, he can’t remember the name of the town off the top of his head and promises to add it to the Google map on the show notes. And of course there are lots of opportunities to learn yoga, take a woodcarving class, do some hippy/artsy kind of activities. Bali has a lot more to offer than beaches and surf.